The BSc (Hons) in Biomedical Sciences is a unique 2-year programme taught on the Crewe campus awarding graduates of this course a BSc (Hons) in Biomedical Sciences degree. This course is part of the Medipathways® suite of courses, specifically designed for students interested in progressing on to medical, dental school or other healthcare sciences and professions. Why is this BSc programme unique? Students who are predicted, or achieve, a 2.1 will be guaranteed an invitation to the second phase of the University of Buckingham MB ChB Selection Process – the MMI. Applicants will also be required to have grade C in English GCSE, or if English is not their first language an IELTS of 7.5 with a minimum of 7.0 in each component. 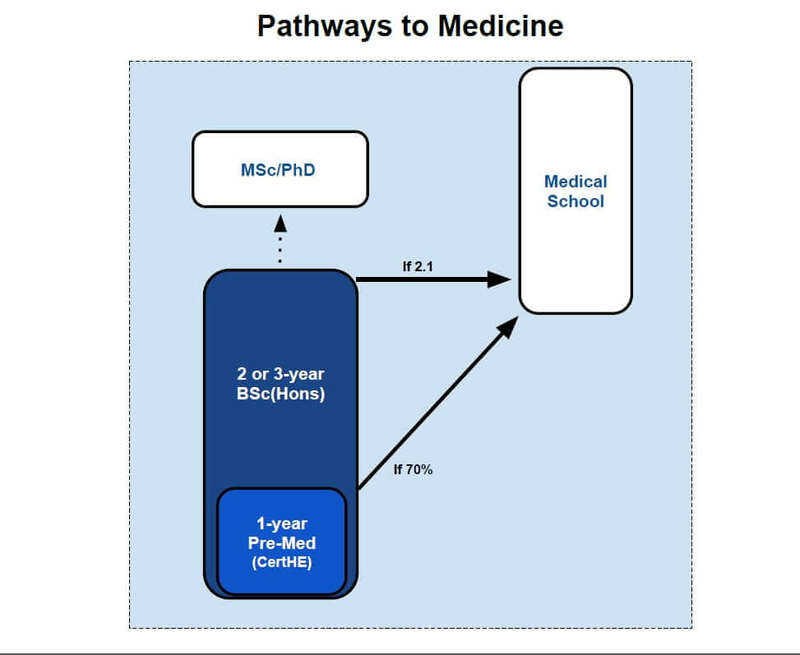 As shown by our success statistics below, this BSc is designed with medical or dental school entry in mind. It has been shown to enhance your chances of securing a place several times over in comparison to other traditional BSc degree courses elsewhere. Virtually all medical and dental schools in the UK will consider graduates of this 2 year BSc. in exactly the same way as graduates of a conventional 3 year degree programme. They usually require at least a 2.1 honours degree, as well as other more specific entry criteria which can be confirmed by contacting them directly. It costs the same in tuition fees as other 3 year BSc. 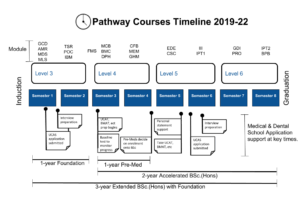 programmes – so you are not paying a premium for finishing early. In fact, since you are saving a year, which also means you save a year of accommodation, food and travel – an average of £12,000. We believe our graduates are better-prepared. Students who can complete a 3 year course in just 2 years display ability to manage a greater task-load. This may appeal to universities when you are applying for postgraduate courses, including intensive courses such as medicine or dentistry. When in employment, employees do not get a long summer break and neither do our students. This informs prospective employees that our graduates are better prepared for hard work– making them stick out in the pile of other applicants they receive. Each applicant is considered on a case-by-case basis and an interview may be required. A-Level grades of BBB, which include Biology & Chemistry (or equivalent e.g. IB score of 32 points overall) are usually our standard requirement for entry onto our 2 year BSc. programme. Equivalent qualifications, such as the Irish Leaving Certificate, the I.B. Diploma and the Scottish Advanced Highers are also accepted. Prospective international applicants with other qualifications should contact us for an individual assessment. We welcome applications from students who have successfully completed a BTEC programme of study, however students who have a BTEC as their highest attained qualification will normally be offered the Medical Foundation programme. 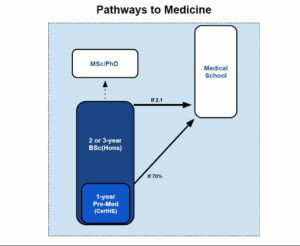 Students who have passed and approved a medical/biomedical foundation are strongly considered for a place. A prediction of a 2.1 will guarantee an interview at our Medical School as well be considered by virtually all medical and dental schools in the UK. Past graduates have also completed an MSc and successfully re-applied to medical school allowing our graduates to complete a BSc. and MSc. in just 3-years.